This little adventure is a vehicle off road safari through one of the most beautiful parts of our mountains. You don’t need a four wheel drive, but a 2 wheel drive vehicle with good ground clearance is recommended. Skyline Drive is the unofficial name for USFS Road 2N10 that begins just west of Big Bear village off Mill Creek road, and heads south into the mountains, then east along the ridge line behind Big Bear Village and Snow Summit, and eventually re-enters the valley in the upper Moonridge area. This scenic loop is a well maintained dirt road about 9 to10 miles long. It can be driven straight through in about an hour or so, but plan on giving yourself plenty of time to occasionally stop to picnic, take photos, or just admire the views. There is a lot to see on this high country venture. 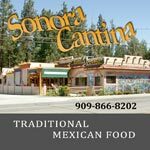 Parts of this drive are along the 8,000 ft ridge line providing spectacular panoramic views of San Gorgonio, the Santa Ana river, and Big Bear lake. On a clear day you can see all the way to Los Angeles and even Catalina island. Don’t leave your camera home on this adventure. Two heavily loaded White Stages belonging to the Bear Valley Transportation Company on the old Rim Of The World highway up near Bluff Lake are making their way from Big Bear Lake to Redlands. - Rick Keppler Collection. 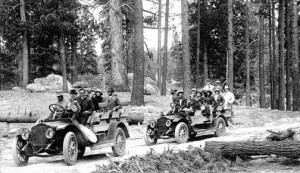 In the early 1900’s, the only way to get to Big Bear was on a series of privately owned, poorly maintained, interconnecting toll roads. 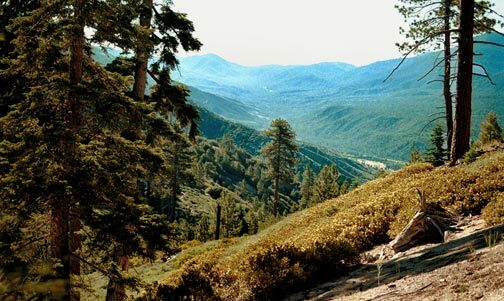 In 1915, San Bernardino County took over all of these toll roads and combined them into a single dirt, but was well maintained road that became known as the Rim Of The World highway. This highway began in Redlands and wound it’s way up the Santa Ana river to Clarks Ranch. It then began climbing it’s way up into the mountains on a treacherous section of road known as Clarks Grade, which still exists today as USFS road 1N54. It must be remembered that even though this dirt road was as narrow back then as it is today, it had to handle “traffic” in and out of Big Bear. To do this a timing system was set up with “control station” at the top and bottom of the grade. Clarks Grade was essentially a one way road that changed direction of travel at different times of the day. Any autos that couldn’t complete their trip up or down the mountain within their allotted amount of time, were required to pull over into turnouts to park for a few hours and wait for traffic traveling in the opposite direction to complete their journey. Eventually Clarks Grade reached the summit and connected with today’s Skyline Drive, USFS 2N10. From here, the old Rim Of The World highway continued west along Skyline Drive past Bluff Lake and eventually dropped into Big Bear Valley just west of the village. The section of the Rim Of The World highway from the Santa Ana river to Big Bear Village was eventually replaced by todays’ highway 38. The best way to get on to Skyline Drive is by turning south onto Mill Creek Road off of Big Bear Boulevard just west of the village. 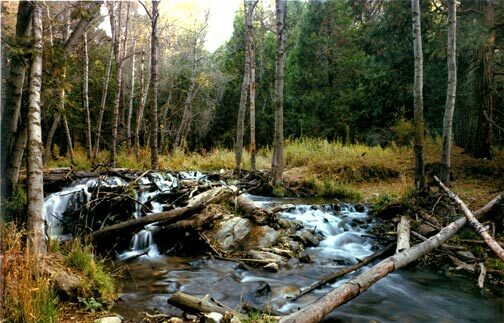 Follow Mill Creek about 1/4 mile until you reach USFS road 2N10. You are now on Skyline Drive. As you head south on 2N10, the you will first come to the Cedar Lake turn off. This is a privately owned lake created in the 1920’s which will we talk about later. Continue along 2N10 until you reach USFS 2N86. For those interested in checking out Bluff Lake or trailhead to the famous Castle Rock, 2N06 will get you there. 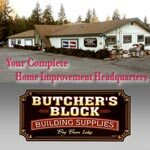 For additional information on Castle Rock click here. However today were going to continue along 2N10. About 4.5 miles from Millcreek road we get to USFS 2N11. At this point we’re going to take a little side trip west down 2N11 about one mile to the Champion Lodge Pole Pine trailhead. 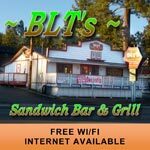 Here you can get out of your vehicle, stretch your legs and take an easy walk along a short 500 yard theme trail to the largest known Lodgepole Pine tree in California. 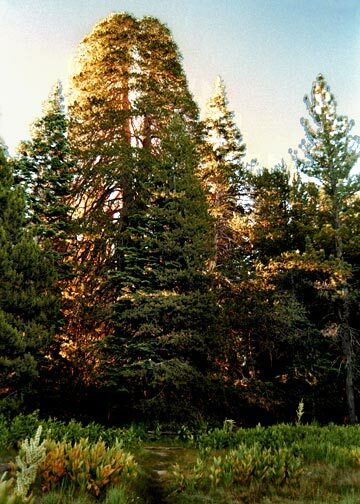 This giant tree sits in a little lush green valley that gives us an idea as to what Big Bear Valley would have looked like before they built the dam in 1885, that created Big Bear Lake. 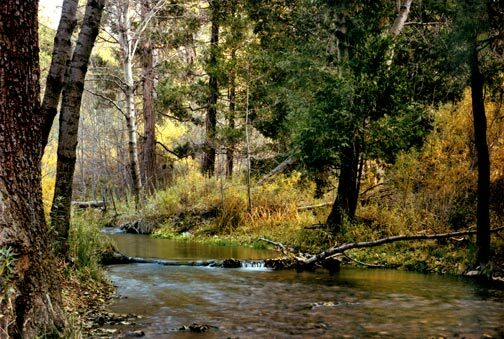 This area is teeming with wildlife, keep your camera handy. When your ready to hit the road again, head back to 2N10 and continue east. The road now climbs higher the pine forest begins to thin out. 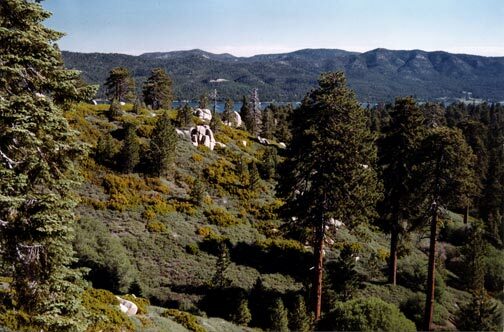 Manzanita brush and large granite rocks now dominate the landscape with occasional glimpses of Big Bear’s lake in the valley below. About a mile past 2N11 we reach USFS road 1N54. 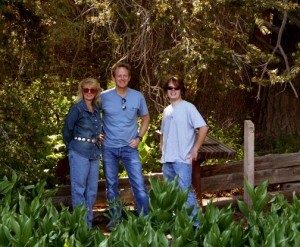 The 1N54 turnoff was once the infamous section of the Rim Of The World Highway to Big Bear known as Clark’s Grade. If you want to check out Clarks Grade, see the CLARKS GRADE/SANTA ANA SAFARI below. 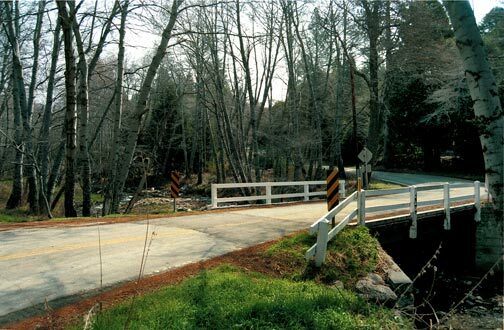 Today we are going to continue on 2N10 past Clarks Grade until we reach 2N08, which is a scenic short cut that will take you directly back to Big Bear Village. However, if you take this shortcut back, your going to miss out on what Skyline Drive is all about. Stay on 2N10, because within less than a mile past 2N08 we reach Grand View point. This is the payoff. From here the views of Big Bear, the Santa Ana river valley, Redlands and all the way out to Los Angeles are truly spectacular. Grab your camera, and get out of your vehicle. 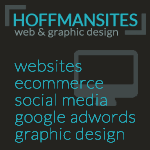 You will get some great photos that I know you are going to want to share. As you continue traveling east on the ridge line along 2N10. There are many places you will want to get out to explore or take more photos. Eventually 2N10 will drop you back down into upper Moonridge near Bear Mountain Ski Resort, and back into civilization. I never get tired of Skyline Drive. Each time I always manage to find something new to see. Check back to this Skyline Drive page for future updates and photos for Clark’s Grade, Cedar Lake, Castle Rock, Bluff Rock, and Champion Lodgepole Pine. 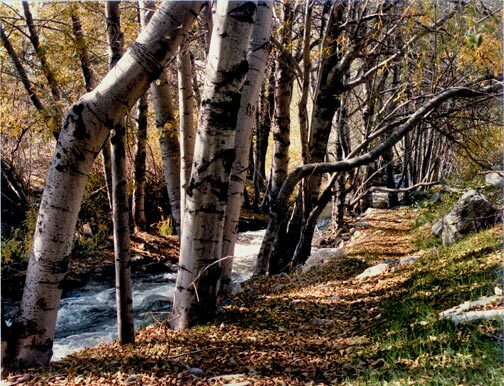 For the more adventurous souls who would like drive the Clark’s Grade section of the old Rim Of The World highway, and relive a little Big Bear history, can do so by turning on to USFS 1N54 off of Skyline Drive (USFS road 2N10). Caution – I strongly recommend checking with the Forest Service for current road conditions, and only using a 4-wheel drive vehicle with good ground clearance when traveling on IN54. As you start heading down 1N54 to the valley below, try to imagine what our ancestors traveling to Big Bear back in 1915, went through in their fully loaded unreliable Model T’s, on this same stretch of the so called highway. If just one vehicle broke down back then it could block all traffic for hours. Once you reach the valley below, USFS 1N54 connects with USFS 1N04. Take it east or west to further explore the Santa Ana river. This stretch of the river is heavily wooded, and loaded with many spots for picnics and photo opportunities. 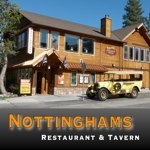 When you’re done exploring, you can either retrace your trip back up Clarks Grade, or if your tired of 4-wheeling, 1N04 will connect you to highway 38 a fast return trip to Big Bear on a modern paved highway. 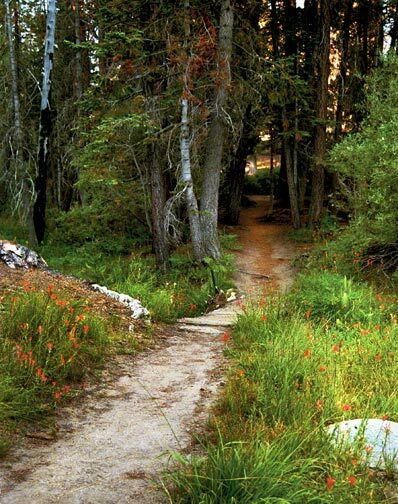 The trail to Champion Lodgepole Pine. This short three to four minute walk is well worth it, and will give everyone a chance to stretch their legs. © Rick Keppler. 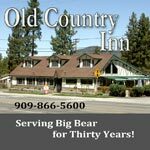 If your looking for information on Big Bear’s fascinating history, visit the Big Bear History Site.Com or go to the Channel-6 website program guide. Here you will find the dates and times for the various historical episodes on Channel-6’s Big Bear History Show.